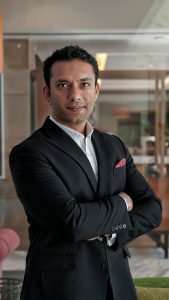 D’Souza brings in more than 15 years of experience in the hospitality and tourism industry in his new role. Prior to joining R Hotels, he was the director of sales and marketing at V Hotel, Curio Collection by Hilton at Al Habtoor City. He also served as area director of sales for Roda Hotels & Resorts, managing a total of seven properties and more than 2,000 keys. Before that, he was the head of sales and a member of the pre-opening team of Dubai Parks and Resort. He worked mainly with the Hilton brand and took on key sales positions at Hilton Dubai Jumeirah Resort, Hilton Dubai Creek, and Hilton National Sales Office in the UAE.